An old man sits on a wooden folding chair next to the entrance of a cafe. He picks up the newspaper, puts it back down and gazes at the people who cross his path. Turning to the table beside him, he catches a glimpse of the hand of cards of his neighbor. “Eh!” he exclaims and clicks his tongue, laughing as the player dramatically attempts to smack his arm in return. 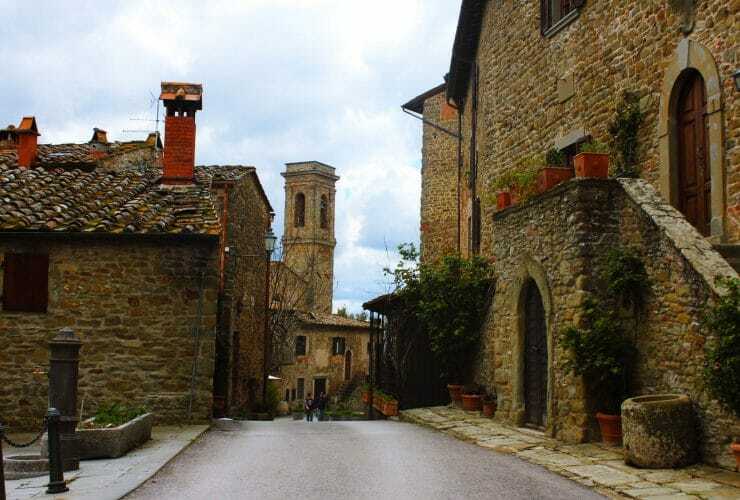 I’m walking through a Tuscan town like many another, where stone walls frame the picture-perfect cobblestone streets and pots of colorful geraniums hanging from windowsills and banisters spatter the lanes with color. I stop and smile as the moment passes. The players return to their game of Briscola while the old man continues to grin like a little boy who’s managed to get away with a handful of candy. The old man’s hair is grey, almost white, but his skin is tanned despite the lower temperatures of winter. He’s always been living like this, outside, his hands constantly in touch with the earth. He’s the type of man who gets nervous when he has to stay inside too long, in rooms artificially warmed by electrical heaters or gas. With the same boyish grin around the corners of his mouth, he squints his eyes to look at the sun. His face is full of wrinkles. They run across his forehead and down his cheeks like paths, each one a different story from yet another chapter of his life. His eyes are the most remarkable. Dark eyes that might never have seen the horizon of distant lands because there was never the time nor the money to go. For a while now, his body has been reminding him of the passing of time. His legs get tired and his back sometimes hurts, but his eyes have always stayed the same. They’ve always kept this sparkle of youth. I follow his gaze. A young woman is snapping pictures of the flowers, the walls, the path, the sky. Back at home, she will have hundreds of photos to choose from. The old man chuckles and shakes his head. How the things he’s always known have changed around him! Technology. The speediness of it all. The notion that we’re somehow always too late. That we should have already done this or that. That others are ahead and we are trailing behind. What if we stopped? Not completely, but at least for a while. And if we sat down with this man? What would he tell us? What would he make us see? When we think of Italy we’re fast to think of the Colosseum, or artists such as Michelangelo and Leonardo da Vinci, or the gondolas in Venice, the leaning tower of Pisa, or the Duomo of Milan. But there is so much more to Italy. There are all these intricate details — like the wrinkles on the old man’s face — that have been shaping the Italian culture for centuries. They are hidden along the paths that lead from village to village and are passed on from generation to generation, encrypted in the way people move and carry themselves. Italy is its colors, its smells, its tastes, its sounds, its gestures. It’s the people and the feeling they convey. The cheerful buzz of a busy town square and the peaceful silence of the countryside. The mountains, the beaches, the rolling hills, and everything in between. As I’ve explored Italy, so often on foot, both alone and with others, I’ve found that we don’t just fall in love in Italy, but walk in love with her — gradually feeling it all, with arms and hearts wide open. There’s so much to see, but of course we won’t see everything. We shouldn’t even try. If we only allow ourselves a moment to get away from the crowds and to fully experience a seemingly insignificant moment from its beginning to its end, that’s when we’ll know the true heart of Italy. A few minutes go by as the men finish their game in concentrated silence. They fold their cards in time with the ringing bell tower. It’s almost time for lunch now. The old man gets up and straightens his back. He pulls down his wool cardigan and folds his newspaper. “Eh,” he teases his friends once more to which they respond with a nod and a smile. Then he walks off — no longer as fast as in his youth but steadily nonetheless. He’s a man who clearly shows the marks of life, yet also one who still knows exactly where he’s going. What a character, I think as I watch after him. He’ll be back tomorrow, maybe joining his friends at a game of cards while sharing the same old stories as well as the very newest — the usual banter. I hope tomorrow someone else will notice like I have today. I hope someone else will pause — until the moment passes and they too find themselves smiling just like me.